MJ, a pit bull being kept illegally in Prairie Village, bit a teenager on the face earlier this month. Photo via Prairie Village Police Department report. For two years, MJ the pit bull mix lived undercover in Prairie Village, his owner hoping the city might someday overturn its ordinance banning his breed. But four days before the city council voted to keep its controversial breed-specific ban in place, MJ bit a teenager visiting the home where the dog lived. 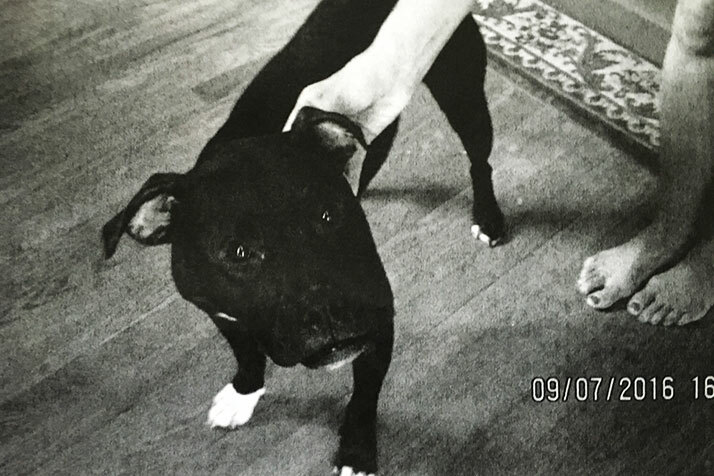 • The dog bit a visiting teenager on the face four days before the Prairie Village city council voted on whether to repeal its breed-specific ban on pit bulls. • The dog’s owner tried to hide its breed from an animal control officer in the days before the city council’s vote on repealing the ordinance. Editor’s note: The owner of the property in question contests the tenant’s assertion that the landlord was aware that the pit bull was being kept on the property.